Attracting and retaining top talent is one of the main challenges facing growing companies and lack of talent often limits growth. Competition for talent is fierce, and extensive information about companies on Glassdoor, Indeed and other sites, ensures that applicants know about an employers’ reputation and what it’s like to work for a company before they even applying. 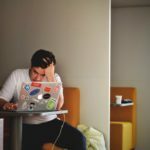 Not surprisingly, research shows that this information has a major impact on whether applicants even consider for a job. As a result, building an effective employer brand is important for helping attract and hire quality talent. Building a great employer brand is a two-part process – one part is a marketing strategy to ensure that the company’s vision of itself is well represented in the market. But company branding efforts can only do so much. Social media has transformed marketing, and companies can’t control their message – employees can post anywhere about their experience and undermine the credibility of the best laid branding plans. 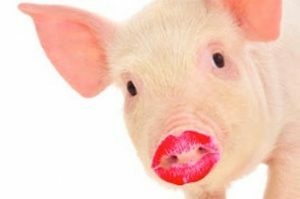 An employer brand program that’s just lipstick on a pig won’t cut it. The second key part of any employer branding program is actually creating a workplace where people want to come. How can employers stand out from competitors in the race for talent? Companies have increasingly tried to be more attractive with benefit and “culture” programs, such as free lunch, on-site yoga, etc. But research makes clear what employees really value in a company, and the “fun” perks don’t make the list. What does matter? A great deal of research shows that the highest priorities in addition to compensation include opportunity to grow and advance, flexibility and work-life balance, being valued and valuable and having a great boss and team to work with. Often these needs are ranked as highly or more highly than pay, meaning that building this kind of culture can be as effective or even more than compensation increases to increase employee satisfaction and to promote employer brand. Impacts of a great employer brand include 28% reduction in turnover, 50% reduction in cost-per-hire, 50% more qualified applicants, ¼ to ½ as long to hire. Source, LinkedIn. The opportunities that employees want when considering a job also are the factors that make employees happy and highly engaged. These happy, engaged employees become the main advocates and evangelists for your company. Not only do they post glowing reviews on social media, but they tell their friends and acquaintances how happy they are, the talk up the company to applicants and they’re more likely to refer possible applicants for open jobs. They are the ambassador that are included in the company’s branding effort. On the other hand, not surprisingly, the absence of the same factors makes employees unhappy and disengaged and makes them quit. In the best case, they suffer in silence and don’t talk about the company at all. More commonly, they use the same channels as engaged employees but to highlight how unhappy they are – they go onto Glassdoor, tell their friends and acquaintances, and warn potential applicants from coming. Building a great employer brand is important, but the work to build the brand has other benefits, too. The factors that make employees happy and great brand advocates also drive higher productivity. The key to a great employer brand is creating a culture and company where employees are highly engaged and happy – who wouldn’t want to join a company like that? And highly engaged employees are more productive and work harder. Moreover, the key driver in highly engaged employees is great leaders and managers, and great leaders make for more productive companies beyond simply having more engaged employees. The common theme among the factors that employees seek is exceptional leadership – great leaders and managers develop their teams, create growth opportunities, build trust with their teams and help team members feel valued and valuable. Not surprisingly, better leaders and managers have happier, more engaged employees, and less effective managers have unhappy, disengaged employees. What changes actually build the employee engagement, satisfaction and happiness that drive a great employer brand? Given our new world of social transparency, organizations can no longer afford to rely on recruitment advertising to build a positive employer brand image. 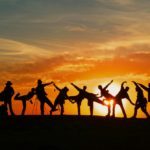 With employee advocacy growing more important, employer reputations will ultimately depend on the consistent values and vitality of their organizational cultures. 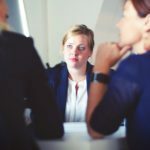 And whether HR or marketing takes the lead in communicating the employer brand, a growing number of firms are beginning to realize that accountability for the employer brand experience must ultimately fall on the CEO. One of the main factors in employees being happy at work is feeling valuable, and that their work matters. Feeling that their work matters doesn’t mean that they have to have a “singular” role, like CEO, or that the company is engaged in a social justice type activity. Rather, it requires that employees understand their role, the company’s goals, and how their role fits into the overall goals. In other words, it’s knowing how they matter for the company and having their role respected. The key, then, is effective communication from managers. Frontline leaders who understand the company and communicate to their teams build happier, more engaged teams. Add respect and empathy from the manager, and you have employees who are primed to be advocates for the company as a great place to work. Leadership development programs that help leaders be better communicators, an break down the issues that keep many leaders from choosing to communicate with their teams, will drive better engagement and a better brand. It’s important to recognize that companies with great communication don’t just have a CEO who’s a great communicator. In fact, CEO communication is a small part – the real key to employees feeling included and informed is communication from their manager. Communication that stops in the C Suite isn’t real communication at all. More than ever, workers view their jobs as a quid pro quo – they expect to work hard, and they expect their employers to give them opportunities to grow and advance. Almost 90% of millennials, for example, report that development is important in a job and 59% report that opportunities to learn and grow are extremely important to them when applying for a job. Providing growth opportunities is one of the most effective ways to promote an employer’s brand – it’s visible and tangible, it has a tremendous impact on employee engagement and it’s uncommon enough to stand out from the competition. But what does a real, effective talent development program require? In addition to programs like internal job postings and support for internal shifts, the single most important part of a talent development or learning culture is effective leadership – leaders and managers who both know how to help employees grow and are willing to invest time in it. As a result, forward-thinking leadership programs stress that managers must explore career development with their teams and support employees as the build their careers. But few programs actually focus on career development as a separate skill. As we know from career coaching, most managers lack even the basic skills for career planning and execution – although good processes exist for career planning and development, precious few managers actually know those processes and have the skills to help employees with them. If we expect leaders to provide meaningful growth opportunities to their teams, then we need to be explicit about building talent development skills in managers. The research is clear – great leaders have teams who are engaged, happy and work hard. And they promote your employer brand. We know what leadership behaviors result in engagement, and focusing on improving leaders will both help your brand and build a better workforce. But most traditional leadership development doesn’t work well. Building engagement requires more than the tried and true of leader development – leadership programs must actually work (download our Leadership Excellence Guide on Identifying the Weak Links in Your Leadership Program for more on identifying growth areas in your leadership program). 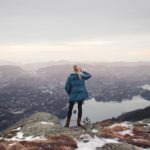 Moreover, leadership development must be widespread – leadership cascades, and good leaders have good leaders below them while bad leaders have bad below. Spots of leadership excellence are often crushed (or leave) without support around and above them. Building a culture of engagement – the core of employer brand – means having great leaders and managers throughout the company. Most managers want to be good at their jobs, but they get derailed by two things – they simply don’t have the knowledge or skills to be effective, or they have personal foibles that block them. For example, controlling leaders will be hard-pressed to delegate effectively, give effective (non-micromanaging) feedback or trust team members to finish projects on their own. Uncertain or timid leaders will have trouble having honest and frank performance conversations or creating accountability. All of these are critical for engagement. Developing leaders who can build engagement require support to work through their personal limitations or shortcomings. Working through these issues is not easy and requires more than just classroom, workshop or online sessions. The actions that are killing engagement are likely deeply entrenched in how these leaders behave in the workforce and life, it’s simply unrealistic to think that two or three days of training will change that. But improvement in these areas is possible and common – with work and support. Leadership programs need to focus on bring about this improvement. Building a great employer brand is important and has critical benefits for companies. But marketing alone isn’t enough – transforming into a company where people want to work is critical to a great brand. Fortunately, the activities to build a great brand also build great workforces that contribute to productivity and growth. Todd Murtha is CEO of Careerwave. Todd is a former workplace psychologist and CEO of a 350 person internet company and is a frequent speaker on leadership, coaching and technology. Careerwave’s technology-based leadership coaching service is effective and affordable enough to provide a coach to every manager in your company. Whether you need to coach 1 leader or 100, or need a full leadership program or just an addition to your current program, we can build a program for you. To learn more, sign up below or contact us at info@careerwave.me, or visit our leadership solutions page.